Despite an overall downward trend for all truck crash fatalities during the past decade, fatalities for pedestrians and bicyclists hit by trucks is increasing. Pedestrian truck accident fatalities have significantly increased from 2006 to 2013, according to The National Highway Traffic Safety Administrations (NHTSA) Fatality Analysis Reporting System. The data for 2014 and 2015 has yet to be released, but data from 2013 shows that 338 pedestrians were killed in collisions involving large trucks. Large trucks accounted for 6.6 percent of vehicle types that hit and killed pedestrians, while 10.3 percent of trucks hit and killed bicyclists. From 2011-2013, 60 percent of all pedestrian deaths(http://www.edwardslawok.com/ok-pedestrian-injury-lawyer.html), caused by large trucks, took place in urban areas. From 2011-2013, 35 percent of fatal truck vs. pedestrian accidents took place on interstate highways. In 2013, 37 percent of pedestrians whom were killed by large trucks tested positive for alcohol, drugs or other medications. Over 55 percent of fatalities happened primarily because the area was dark and not well lit. Collisions happened more frequently in work zones and because of rain, in 2013. 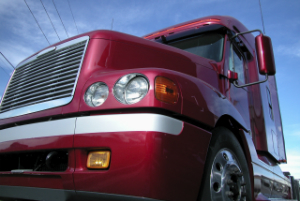 Over 46 percent of pedestrian deaths happened due to an issue with the truck driver. This includes when the driver was distracted, failed to yield, or had obscured vision. Other reasons happened due to the skidding, swerving, sliding or other critical movement events of the truck. If you or a loved one has been injured or killed as a result of another driver’s negligence, the experienced truck accident attorneys at The Edwards Law Firm will help you get the justice you deserve. Contact us today for a free consultation.